In 2015, 1 in 10 births in the United States were preterm. This means that those babies were born prior to 37 weeks. While it may not seem like there is a significant difference between 37 weeks and a full term 40 weeks, the amount of development a baby goes through in those final few weeks is actually quite shocking. Between 37 and 40 weeks, babies are going through the final stages of development in their brain, lungs, and liver which can result in preterm babies (also called “premature babies” or “preemies”) having a higher risk of being born with a variety of different health problems. Depending on how early the baby is born, or how far from fully developed the baby is when they are born, preterm-related issues can range from vision or breathing problems, to cerebral palsy, to, sadly, infant death if the baby is not able to fully develop out of the womb. 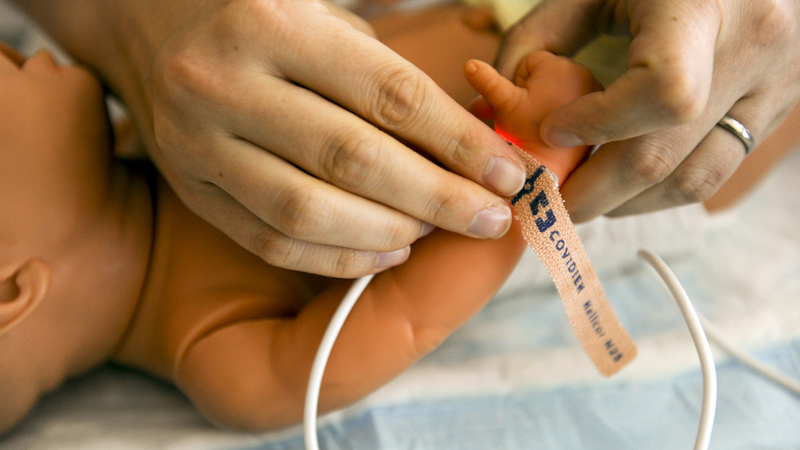 While the prevalence in premature births has declined slightly in recent years, there is significant new research that has come to fruition and may help us keep even more preemies alive and well, while also helping them to catch up developmentally with their counterparts. According to a study completed by Dr. Craig Garfield at the Northwestern University Feinberg School of Medicine and published by JAMA Pediatrics, ⅔ of premature babies born at 23 or 24 weeks are ready for kindergarten on time. In fact, even more impressive, 2% of the children involved in the study even achieved gifted status! This study, which included 1.3 million babies that were born prematurely, which is considered to be a large sample size, also found that babies that were born 25 weeks or later had only a very slight difference in test scores than their full term counterparts, and those born 28 weeks or later showed a hardly any difference in test scores at all. While there are a few caveats to this study, such as the child’s genetic makeup, this information should be very reassuring to parents of premature babies. While some cognitive differences may be seen as your child is developing, especially as infants and if your child was born very prematurely, there is a high likelihood that your baby’s premature birth will not significantly delay their cognitive growth in kindergarten and throughout their school years! In a recent study led by the National Human Genome Research Institute (NHGRI), researchers found that both extremely high or extremely low cholesterol may increase the risk of premature birth. There are several factors that can play into maternal cholesterol, such as genetic makeup, diet, or other health factors. To a growing baby, maternal cholesterol is a critical element in both the placenta and in brain development. While more research is being completed related to understanding the natural change in cholesterol levels during pregnancy, and its role in embryonic development, the conclusions from this study provide evidence to support something I tell all my pregnant mamas : make sure you’re eating PLENTY of high quality fats in your diet. Every single meal and snack should include a high quality fat source like coconut oil, avocados, eggs, grass-fed butter, raw nuts and seeds, or grass-fed meat. Even with a standard Vitamin D dosing, premature babies tend to still struggle with impaired bone health. But a study completed by the University of Nebraska Medical Center found that doubling the dosage of Vitamin D (to 800 instead of 400 IU) tends to improve bone density, improve growth, and increase the amount of Vitamin D in their blood. More research is necessary to conclude exactly the amount of Vitamin D most beneficial to each preemie individually, but this evidence does suggest that additional Vitamin D is absolutely beneficial to premature babies bone health. New research conducted by Monash University’s Department for Diabetes has concluded that there is a safer new way to treat retinopathy prematurity (ROP), which is an eye disease that frequently occurs in very small, premature babies. This disease is the main cause for vision problems and blindness globally and is currently treated by performing laser surgery on the newborn baby. However, as the baby is still in the early stages of development, this surgery tends to hurt both the blood vessels that contribute to the disorder, as well as hurting some of the healthy cells. This new research has found that there is a way that doctors can actually improve the damaged blood vessels, which significantly reduces ROP over time. This leaves the healthy blood vessels and cells in tact, while also minimizing the symptoms that a baby with ROP may experience over time. While this research is in the very early stages of development, the doctors hypothesize that this study can likely help many groups where ROP occurs, such as those individuals that suffer from diabetic retinopathy as adults. A study shared by the American Academy of Pediatrics has concluded that NICU design can actually significantly change the outcomes for preterm infants. Specifically, preterm infants that were placed in a single-family room in the NICU weighed more at discharge, had greater rates of weight gain, required fewer medical procedures, had better attention spans, experienced less pain, and less stress than their peers that were placed in an open-bay environment. What’s even more enlightening is that this study was able to conclude what specific factors related to the decreased symptoms. The authors of the study concluded that higher developmental support led to the increased weight gain and attention span, whereas increased maternal support led to fewer medical procedures and less stress and pain. As a parent, this should be an even more prominent indication that your involvement, especially at the early stages, is critical if your baby has to be in the NICU for any length of time. Whether your baby gets placed in an open-bay environment, or if you’re blessed with the opportunity to have a single-family room, know that your presence and efforts to regularly engage with your new baby are helping them to grow and succeed. Spend as much time with them as possible and give them all of the love you can. While consistent research is being completed to both decrease the rates of premature births, as well as improve the growth and development of preemie babies, there are a few suggestions that I always provide to my clients when they are raising a premature newborn. Measure milestones based on their “adjusted age” – Preemie babies are given an “adjusted age,” or the age that they would be if they were born on their due date. Therefore, if a baby is six-months old, but was born a month early, their “adjusted age” is only five months. Therefore, measure milestones based on their adjusted age so that you can make sure that they continue growing according to the curve and that your expectations in terms of development are realistic for your newborn. Guard against respiratory illnesses– Unfortunately, respiratory illness is especially troublesome for preterm babies. As a parent, I suggest that you do all that you can to protect your baby from some of their causes, such as not smoking, limiting their exposure to people who may be sick, and properly bundling them up when taking them outside in cold weather. Ensure that you’re comfortable with your prenatal healthcare professionals – Over the next few years, you will be spending significant time with your new baby’s healthcare professionals. Make sure that you are comfortable with their advice and that you are familiar with their approach towards wellness. And, when in doubt, feel free to ask doctors familiar with your case from delivery for a recommendation, as they might have someone in mind that is a good match. Sarah Jane Sandy is a functional nutritionist and women’s health expert. 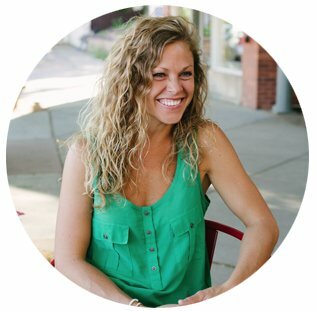 As a hormone imbalance survivor herself, Sarah is passionate about helping women fix their hormonal chaos, get pregnant, grow a healthy baby, and feel happy and content in their bodies. For over a decade she has been researching and studying how the food we eat and the way we live affects our fertility, pregnancy, hormones and post-birth. Sarah works with women all over the world remotely through her 1:1 consultations and online programs. You can read more about Sarah on her website, and find more information about she works with women to optimize health in all phases of life.